Staying in luxury hotels throughout, you'll discover Jordan's highlights in just seven-days on this tailor-made holiday. Experience the whole range of sights that Jordan has to offer, from the ancient city of Petra, to the beautiful Byzantine mosaics of Madaba, and the biblical landmark of Mount Nebo. 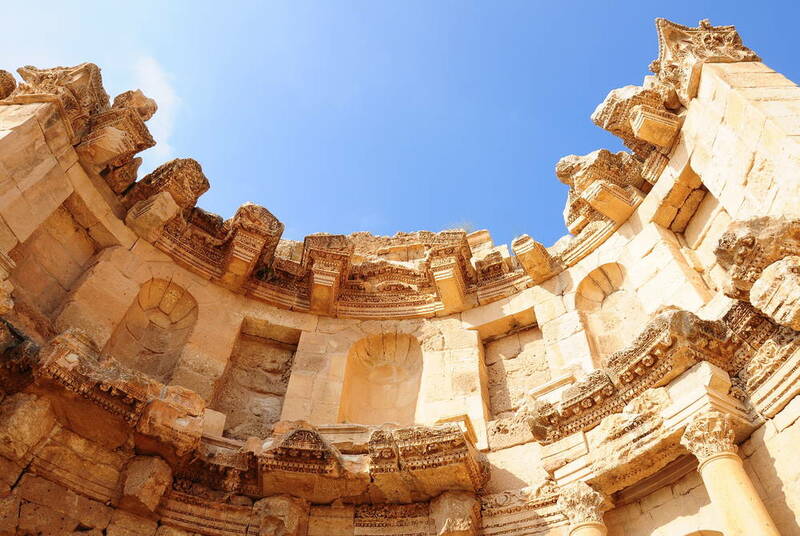 You'll also focus on Jordan's fascinating and richly layered history, perfectly exemplified in the Greco-Roman city of Jerash, where you'll learn of its Neolithic, Roman, Byzantine and Umayyad heritage. 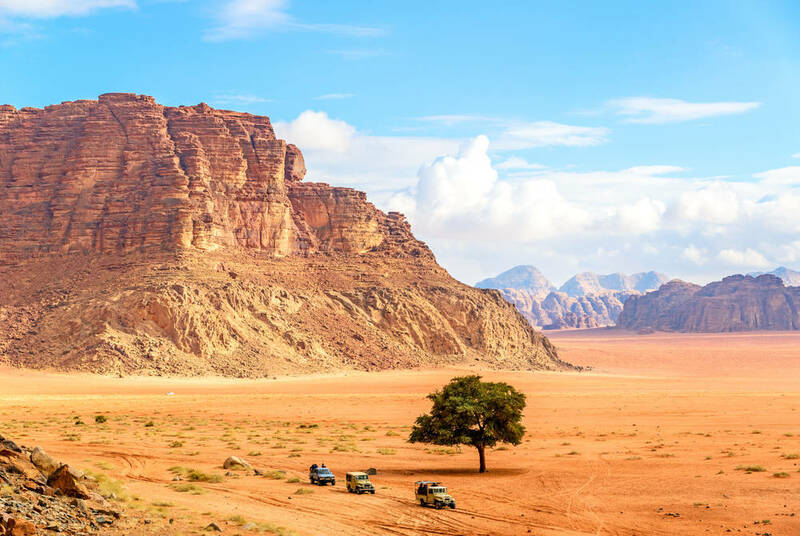 The dusty desert land of Wadi Rum is another highlight, as is beautiful Mount Nebo, with its extraordinary views over to Israel and the Dead Sea, where your trip reaches its relaxing conclusion. 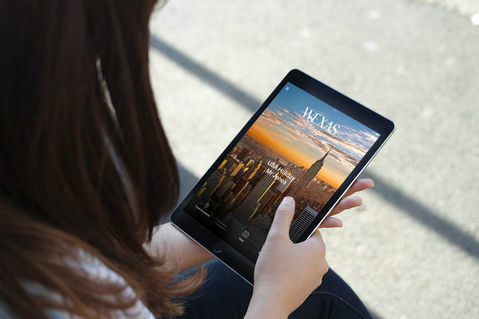 Enjoy included UK airport lounge access before your flight to Amman. On arrival at Queen Alia International Airport, you'll be met by our local representative and taken by private transfer to your deluxe hotel in Amman, before spending the remainder of the day relaxing and exploring at your own pace. After an early breakfast buffet at your hotel, meet your professional guide and start the day by visiting the Greco-Roman city of Jerash, an ancient city remarkable for its extraordinarily long history of occupation, and a golden age under Roman rule. At the well-watered site in the hills of Gilead, remains from Neolithic, Greek, Roman, Byzantine and Umayyad times have been found, among others. Return to Amman and enjoy a light lunch and wine tasting at 'The Winemaker', where you will meet the wine maker Omar Zumot and enjoying tasting a selection of Saint George wines, considered one of the best wine producers in Jordan. Then, in the afternoon, visit Citadel, the Archaeological Museum, the Roman Theatre, the Folklore Museum, the Jordan Museum, the bazaars and the Gold market in the city of Amman. After breakfast, checkout of your hotel, and board a vehicle for a drive to Mount Nebo - the mountain where Moses was shown the Holy Land. 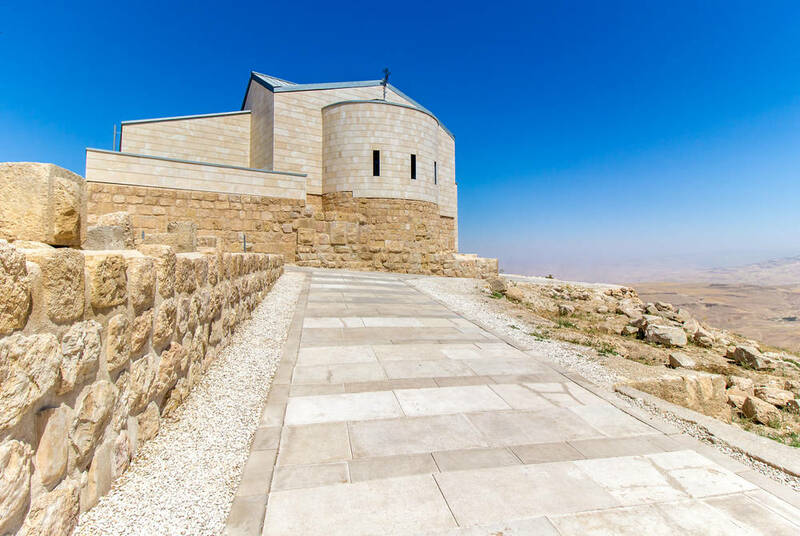 Nowadays, the mountain is a memorial site marked by the Church of Moses, which was built by the first Christians. The mountain affords great views over Jordan, the Dead Sea and Israel. Then, journey to Madaba - in the south of Amman - known as the City of Mosaics for its wealth of Byzantine mosaics. It's chief attraction is the Greek Orthodox Church of St. George, that has a wonderfully vivid 6th century Byzantine mosaic map of Jerusalem and other holy sites made with two million pieces of coloured stone. After your tour, continue to Al-Shobak for a visit, a town that also has a long and distinguished history, which peaked in the Crusader times. It too has a great fortress - the Montreal - constructed in 1115 AD by Baldwin I. 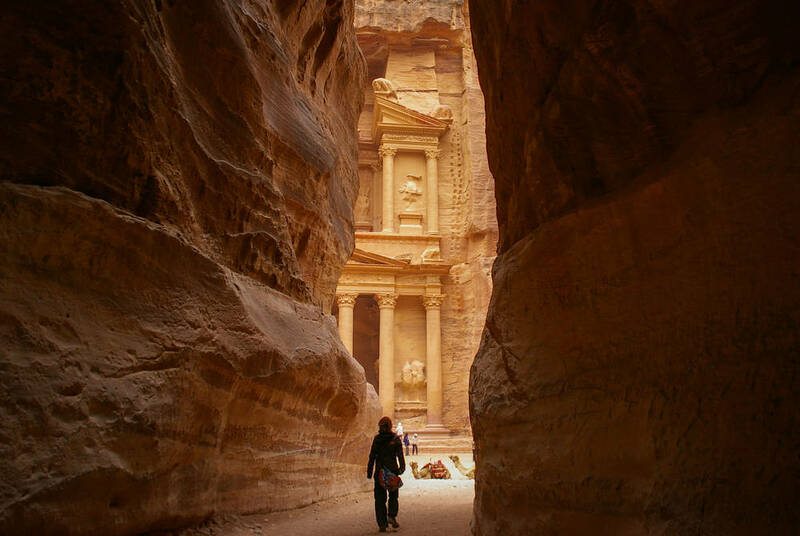 After breakfast, enjoy a full day's walking tour of Petra. Start your walk with an optional horse ride from the main gate of Petra to the entrance of the old city. Nabatean Arabs built the ancient city from 800 BC to 100 AD, and it covers 100 sq km, with over 800 monuments. It reached the peak of its fame in Roman times, however its importance gradually dwindled until it was rediscovered in 1812 by the Swiss explorer Johann Ludwig Burkhart. 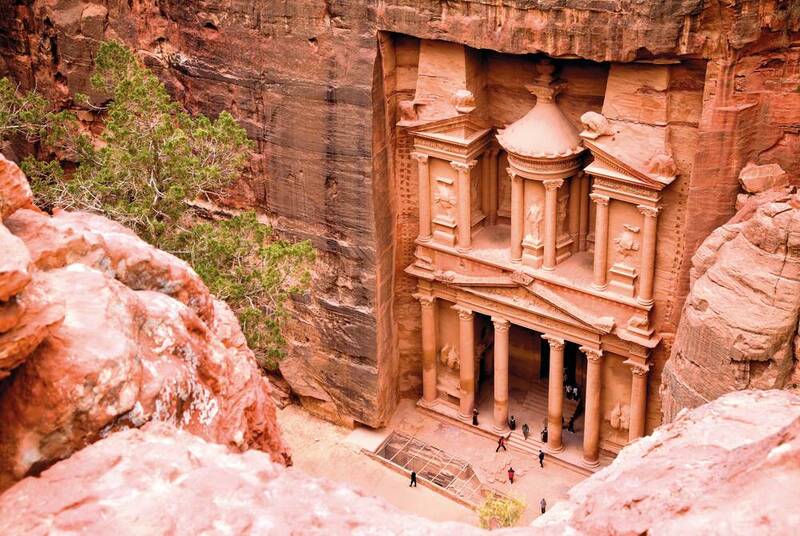 It's now Jordan's most popular tourist attraction, known as the "rose-red city, half as old as time." Enjoy a breakfast buffet at your hotel. Then, board your vehicle and drive to Wadi Rum, which will take about 2 hours. Wadi Rum is also known as the Valley of the Moon because of its immense, awe-inspiring shapes that create a supernatural atmosphere. It was also the setting for the film Lawrence of Arabia, and the location that T.E Lawrence set his camp in the book The Seven Pillars of Wisdom. 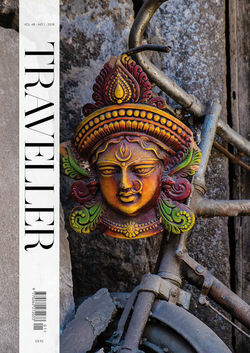 You'll also explore the local Bedouin camps and desert in a 4X4 driven by a local Bedouin guide. 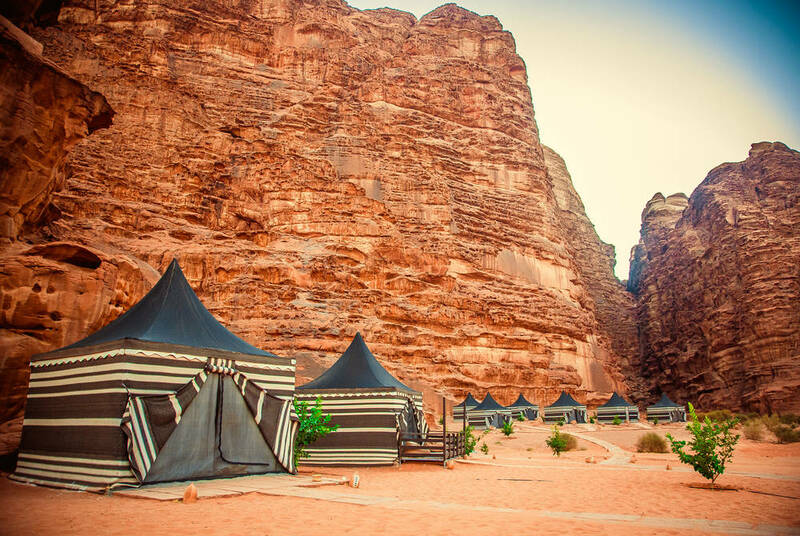 After your visit to Wadi Rum you'll continue on to your luxury resort on the shores of the Dead Sea. Spend the day at your leisure, enjoying the Dead Sea. It has a rich historical and spiritual legacy, and is believed to be the site of five biblical cities: Sodom, Gomorrah, Admah, Zeboiim and Zoar (Bela). The Dead Sea is 400 metres below sea level, and since the days of Herod the Great, people have flocked there for its supposed curative secrets. 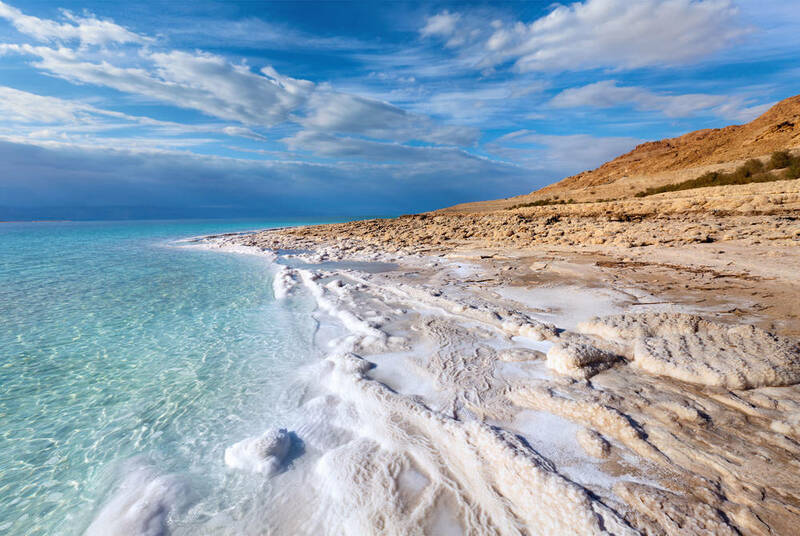 With the highest content of minerals and salts in the world, the Dead Sea water possesses anti-inflammatory properties, and the dark mud on its shores has been used for therapeutic purposes for over 2000 years. After breakfast, checkout of your hotel and take the hour-long transfer to Queen Alia International Airport for your departure flight.